I read this article and found it very interesting, thought it might be something for you. The article is called 15 Things to Know About Brazilian Hair and is located at http://trip-n-travel.com/listicle/20632/. Brazil is a melting pot of cultures and ethnicity. The country is a blend of people from native Brazilians to Africans, Portuguese, Europeans, Arabs and Japanese immigrants. As a result, there is a very mixed society and many inter-racial relationships and families. This, in turn, produces a wonderful blend of genetics passed down through the generations and most certainly accounts for the fame Brazil has for its beautiful people, their eye-catching bodies and enviable hair! So what is their secret? Other than good genes? For Brazilian women having good hair is somewhat of an obsession! So let’s discover more. Let’s take supermodel Gisele Bundchen, firmly in the lead of Brazilian women with great hair and a clear influence on the rest. Her luscious locks represent what the majority of Brazilian women look for in hair – perfect, bouncy, thick and wavy locks, incredibly maintained and with a set of ombre highlights. On average Brazilian women go to a hair salon at least once a month to cover their roots and up to twice a month for hydration treatments. Most will take a trip to a stylist once a week for some kind of hair attention. 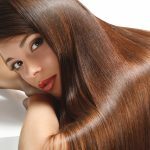 There are all kinds of different treatments and products available for hair maintenance in Brazil. Statistics show that Brazilian women have been found to spend almost 10% of their annual salaries on caring for their hair. Brazil is the second largest market for hair products after the USA! Brazilian women spent almost $9 billion on hair care along in 2013, according to Euromonitor International. That is a lot of products and salon visits! Probably the most popular Brazilian hair treatment is straightening. A lot of Brazilian women have naturally curly hair. The straightening methods range from professional blow dries and straightening with ceramic tools to using intense products like keratin to smooth and straighten. This is something you will be familiar with in hair salons all over the world. The Brazilian blow out treatment now has fame as the preferred treatment for celebrities, stylists, and models around the globe. It is a professional smoothing treatment for all hair types, that smooths and tames frizz by coating the hair with a protective protein layer. It’s so popular because of it’s high success rate! You can also expect your hair to go back to normal without a problem in about 12 weeks. The treatment is long lasting and does not alter the hair’s natural growth patterns. Velaterapia is the latest craze to hit Brazilian hair salons. This process involves using a flame from a lit candle to burn off split ends from your hair. It is like cauterizing your hair! The therapy removes split ends effectively and takes about 2- 3 hours. Pretty unique if a little terrifying! Another unique treatment offered by hair salons in Brazil is “embroidery therapy,” which involves the hair stylist selecting only the split ends found throughout the hair and just cutting them without affecting hair length. It is an amazingly effective way to smooth your hair without undergoing an actual hair cut and is said to be popular with Brazilian models and actresses. While Brazilian women seem to still prefer purchasing and using mainstream cosmetics on their hair, there is a new trend towards the use of native and natural ingredients from Brazil. Ingredients such as acai and cocoa, extracted from plants natural to the rain forests of Brazil are slowly being introduced by companies such as Natura or elite boutiques with their own range of products. A lot of women may have spent years using harsher products on their hair to straighten and style, which means there has been a surge in using hair hydrating masks to combat damage done. There are great masks on the market that use acai and keratin to strengthen and smooth hair back to a healthy state. An easy and natural hair treatment popular in Brazil is the avocado hair mask. What is required? You must mash up a ripe avocado, apply it to your hair and all over your scalp and wait for half an hour with a bath cap on. Rinse the mask off with cool, clean water. You will discover your hair is brightened, hydrated and bouncy having absorbed the nutrients and vitamins from the avocado mask! In recent years Brazilian women have become more enthusiastic about embracing their natural hair. This means that simpler ways to stay looking chic and stylish are becoming more popular. For example, using nature to make the most of your unique hair type. One example is the use of salty sea water. You can collect the water in a spray bottle and spritz it all over your hair to create a beachy, naturally beautiful look. Following from the previous point, lately more and more Brazilian women are not only embracing their natural hair but also tending towards a more hassle-free hair routine, especially if they are busy people on the go. After years of long locks, the women of Brazil are moving towards a style known in hair and beauty circles as “the lob.” The lob is a long bob, coming just to the shoulder, near the clavicle. It was seen emerging on celebrities and models in the UK and the USA and has now reached popularity in Brazil. The influence on hair and beauty from celebrities is big in Brazil. Aside from their own beautiful stars, Gisele Bundchun and telenovela stars and actresses like Giovanna Antonelli and Bruna Marquezine, the Brazilians also look to US stars like Kim Kardashian. There is a definite celebration of curves, natural bounce and wave and a strong desire to take care of your looks and always look your best. Hair care isn’t just about maintaining what is on top of your head! Brazil is the country that birthed the now world famous Brazilian bikini wax. A wax that involves basically all of your hair removed from the pelvic area, meaning you can hit the beach like a Brazilian in a tiny bikini and not worry about visible hair. If you are going to opt for regular Brazilian blow out treatments, just be aware that too much of anything can sometimes cause problems. Other than the naturally occurring Keratin, chemicals used in the treatment include formaldehyde (this is used as it’s a preservative to lock the protein onto your hair). Short and infrequent exposure to this chemical is not a problem at all, but long term or if you are pregnant or have sensitive skin you should be careful and perhaps inquire for different products or limit your use. Brazil is a colorful, exotic and exciting country with many natural wonders! Take some hair and beauty tips from Brazilian women and step out with confidence!